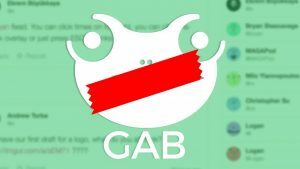 We all agree that one of the most effective weapons in the arsenal of the anti-fascist is the use of the heckler’s veto to censor pro-white and anti-Marxist speech, but what’s the most effective way to counter it? We’ll be diving into the subject, but we’ll be starting the show with yet another appearance from Ethan Bearman on Tucker Carlson tonight where the former attempts to make the case that business owners should have to bake the cake with regard to who they hire. I know, you’re probably shocked. A chosen person who thinks that business owners shouldn’t be able to discriminate against employees on the basis of what language you speak? I’d also ban synagogues. if it were up to me. Buckle in, this is episode FORTY ONE of So to Speak w/ Jared Howe.